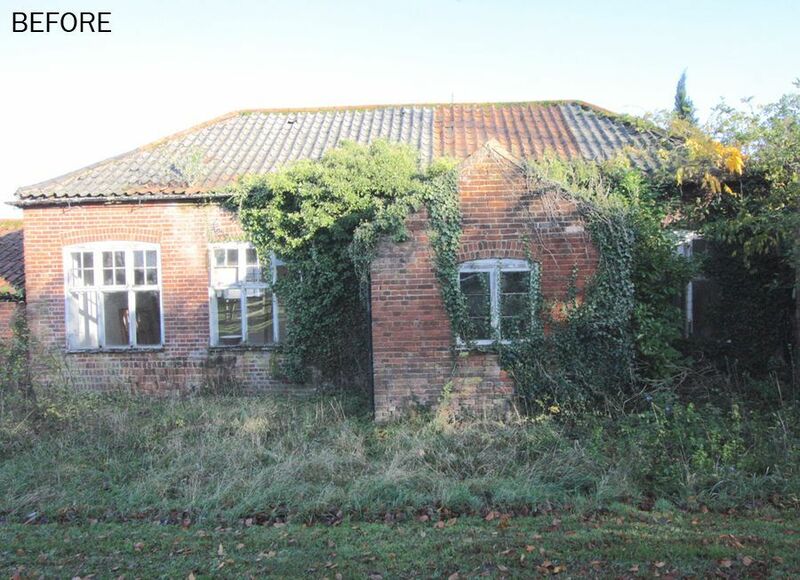 This barn is part of a former farm estate at Stanninghall in North Norfolk. Sitting in a courtyard, it dates back to late Georgian times and was once used as a coach house. The client approached me to discuss the possibility of transforming the barn into a holiday let, with living accommodation for a small group or family. I was asked to look at what might be possible within the barn itself, as well as the option of using the roof void and extending outwards on the far side from the main farmhouse. The initial challenge was to survey the roof and understand the existing structure to ascertain its potential. I then looked at the various options and what they would deliver in terms of providing different sized accommodation. I explored the possibility of using the roof void but while this could provide living space, the client and I agreed it might be too costly and unnecessary to do this. Furthermore, providing stair access up to the additional floor would use up valuable space elsewhere. 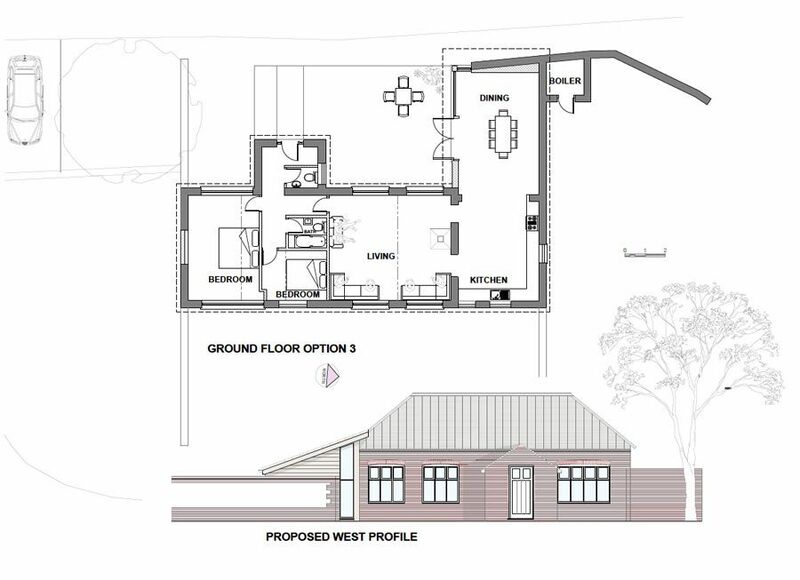 An additional challenge was to come up with an uncomplicated traditional solution to suit the capability of a local builder who was approaching retirement and would take on the build single-handedly. The plan is to create open-plan space and add an extension, using traditional materials in a contemporary style to allow the new area to sit in harmony alongside the older structure. My design incorporates an old stone and flint boundary wall which also really helps to celebrate and integrate the new with the old.